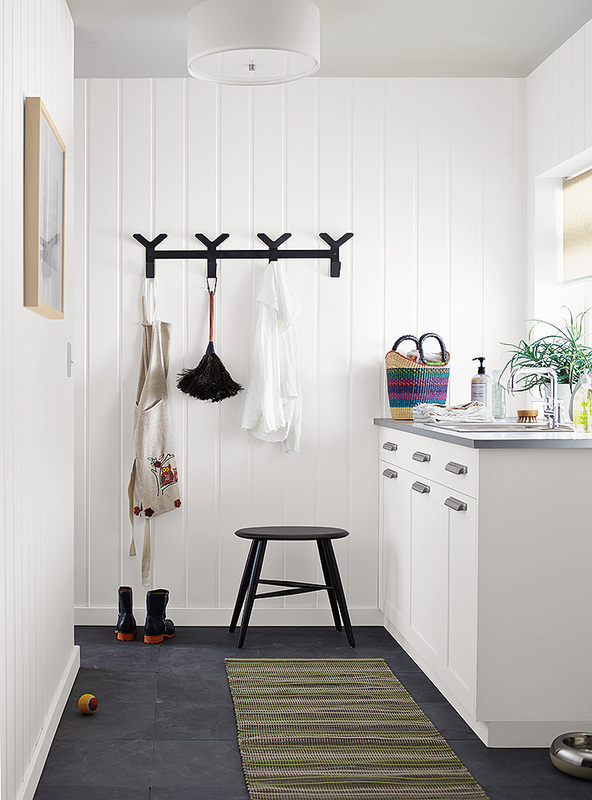 From the entryway to the kitchen, wall hooks help you add storage to tight spaces. 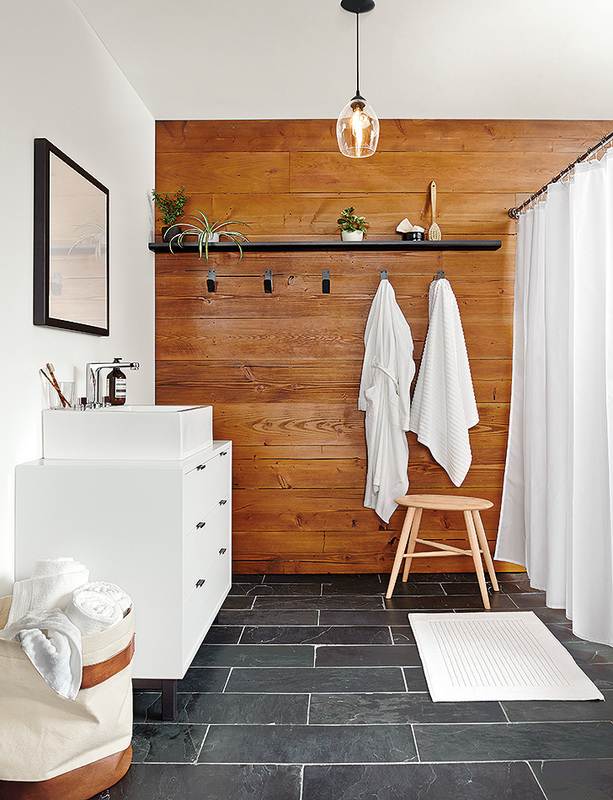 Here are a few inspiring ideas for how to use wall hooks throughout your home. 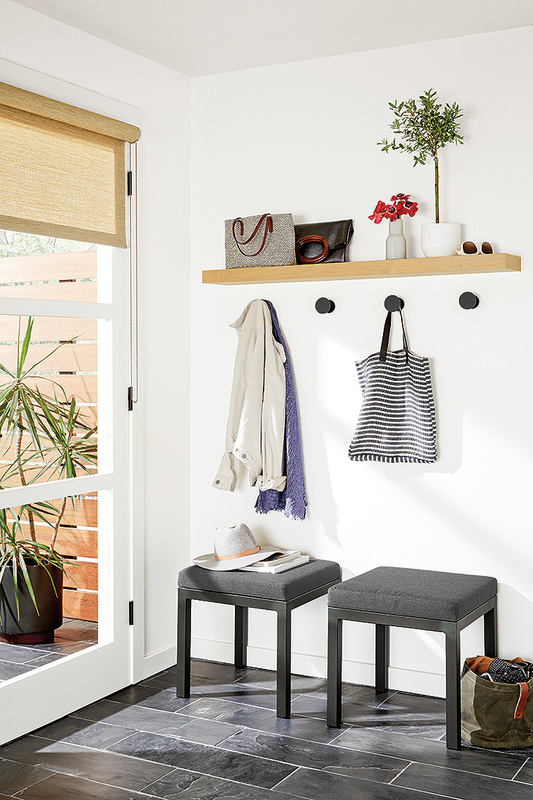 Crew Multiple wall hooks in natural steel add both graphic appeal and easy-to-access storage to this mud room. 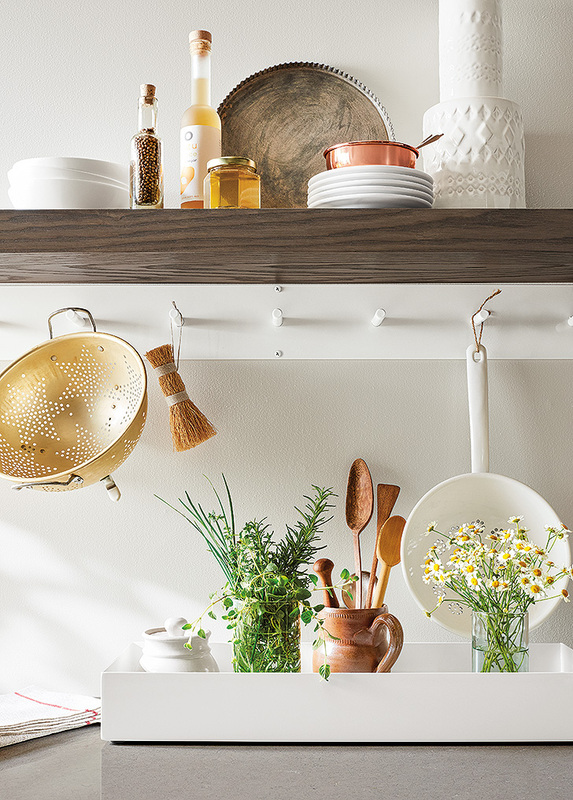 Keep kitchen tools close at hand with our Spike wall hook, Terrace planter and Float shelf. Increase the odds that robes and damp towels will stay off the floor by assigning a Crew Single wall hook to each family member. Top off the look with a Trace picture ledge . 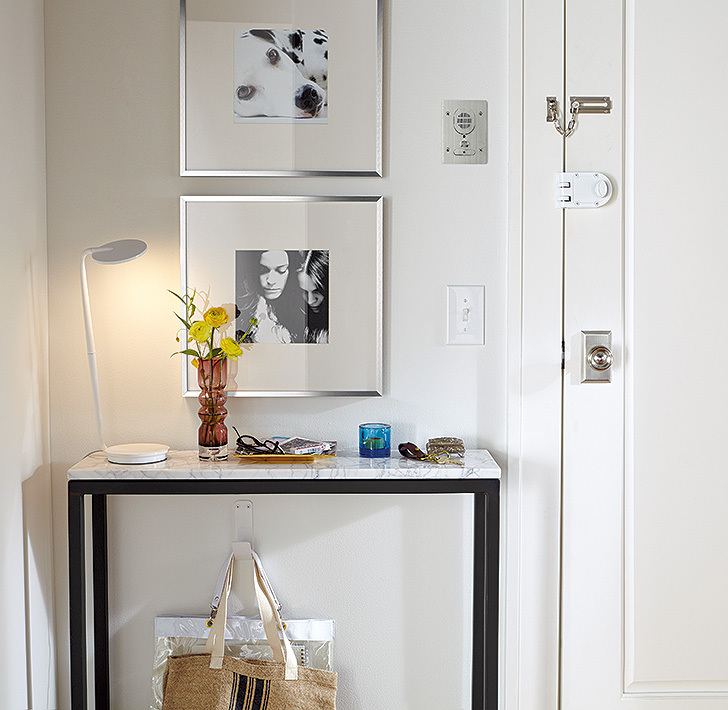 Compass wall hooks used in conjunction with a Float shelf create an efficient entryway that doesn’t take up floor space. We love this clever idea: Mount a Crew Single wall hook under a Parsons console table. Using a hook the same color as the wall helps it blend in when not in use.